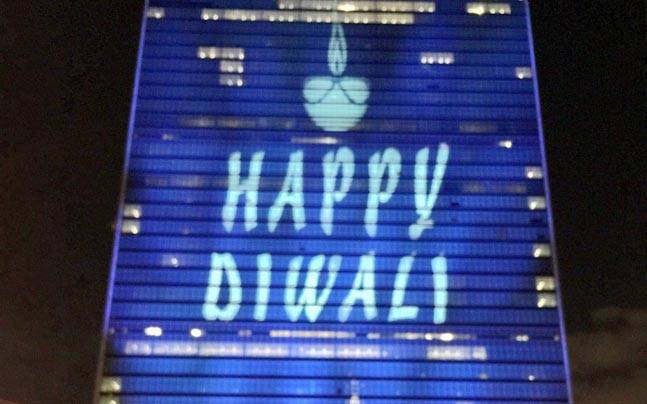 Diwali greetings were beamed on to the facade of the UN building on Saturday night. 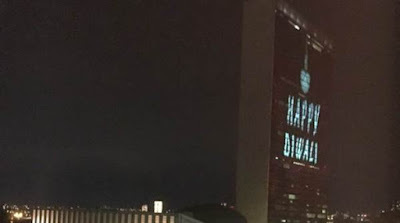 The United Nations headquarters in Manhattan, New York celebrated Diwali for the first time since the world body declared it as a non-meeting day in 2014. 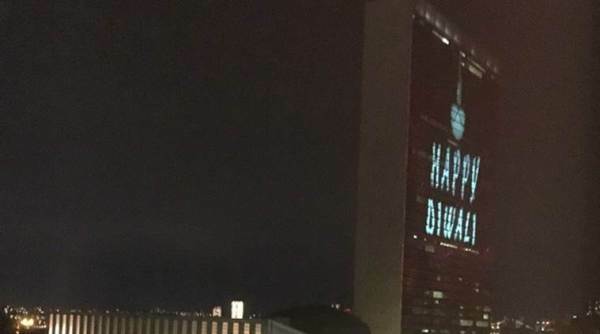 Diwali greetings were beamed on to the facade of the UN building on Saturday night as it turned purple, with the words ‘Happy Diwali’ prominently displayed below a diya. 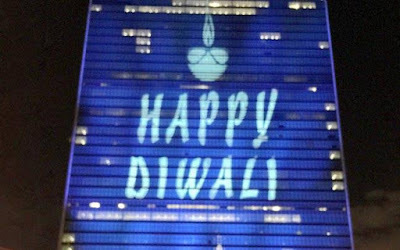 Tourists and New York City residents were seen snapping pictures of the building as it lit up for Diwali.